We understand that precision is everything to the protein and bakery sectors. We supply world-class systems that provide the granular level of precision you need – increasing your productivity while minimising downtime. Choose from our extensive produce range below. Driving increased efficiency, process security and control of product quality. The Cerberus XL is a highly accurate, fully integrated combination metal detection inspection and checkweighing system specifically designed for tin bread size products. 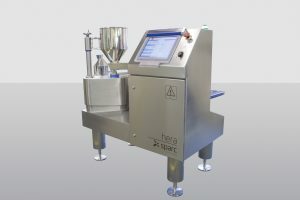 Hera is a “loss-in-weight” depositor used to dispense free-flowing materials by weight, into or onto conveyorised products. 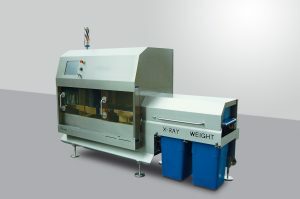 The Heracles is a highly accurate, fully integrated; combination metal detection packaging inspection and check-weighing system specifically designed for large format food production applications. Achieve a unique, accurate and space saving solution for filling foil or metalised film packages with Hydra. The Iris Pipeline X-ray Inspection System from Sparc Systems promotes systematic product flow and delivers optimal detection of contaminants. The Sparc Systems Maxi is designed to meet demands for heavy duty, accurate, continuous flow weighing systems.